With all the modern age alternatives, listening to the radio in the conventional way has become an afterthought for many – especially for the digital generations. You might tune in to a morning show of your choice while driving to work, or you might turn the radio on just for the sake of it approximately 8 hours later while being stuck in traffic on your way home, but it is much more likely that in most cases, you’ll go for digital alternatives provided by relevant iOS or Android applications. Today we bring you a radio app which combines listening to music with the art of relaxation, meditation and winding down. Meet Radio Art! 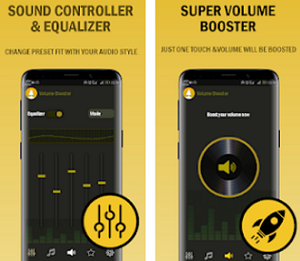 Radio Art’s app brings listening to music to a whole new level with it’s feature that combines music channels with different kinds of natural sounds. Radio Art is European radio station that broadcasts 120 music channels and have 24 natural sound channels. It puts the emphasis on acoustic instrumental music, but also have many more genres and types to choose from. Combining your favorite type of music with the beautiful sounds of bird chirp, waves, rain and more is the ultimate relaxation method that will bring those anxiety levels down. Perfect for meditation and winding down, Radio Art’s app is something new and fresh amongst the ocean of radio apps on the market. Why we choose Radio Art? Put aside the great design and straight forward interface, this app is packed with useful features. Allowing you to create lists of favorite music channels for more convenient access, option to pair music with natural sounds, and adjust their volume to your liking, it also have features like sleep and alarm timer so it makes it a perfect tool to help you wind down and fall asleep easier. If you chose to go with the subscription based plan you also get an experience of listening to music without interruptions from ads or commercials. Other than that and the sleep/alarm timer, the subscription and free plans are quite similar, with the addition of couple more features for the app’s premium users. Radio Art is a new take on the old radio concept. 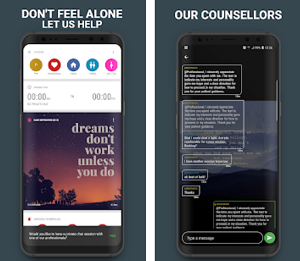 Developed with a purpose to help listeners, relax, cope with the daily stress, and help them with lowering anxiety, Radio Art’s app makes listening to music fun and useful at the same time. Download and try Radio Art today, you can find it available at both App Store and Google Play Store.